Since last October, Apple modified the standards for adding and publishing applications in the App Store while keeping the right to reject or remove any app that advocates or promotes the sale of third-party applications. However, since Apple changed their App Store terms of service, in October, several applications have been affected, AppShopper which competed directly with the App Store by providing a different way to search for apps. AppGratis is still available for Android users; the basis of this app was finding app deals in exchange for half the profits of the offered application. AppGratis is based out of Paris and last January raised $13.5 million in funding and had about 7 million active users. AppGratis had a large download capacity and allowed up to 500,000 requests for a single application. For now, users who have already downloaded the application on their iDevices can continue to use the application. Perhaps AppGratis will be readmitted into the App Store after a few simple changes code upgrades. 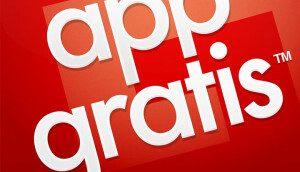 What do you think about Apple’s decision to remove AppGratis from the App Store? Will this affect the way you download apps?